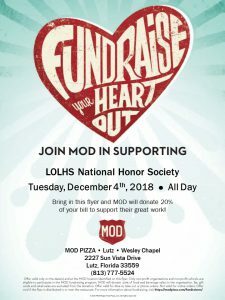 Have you been waiting to try out MOD Pizza? Why not support a great organization at the same time. 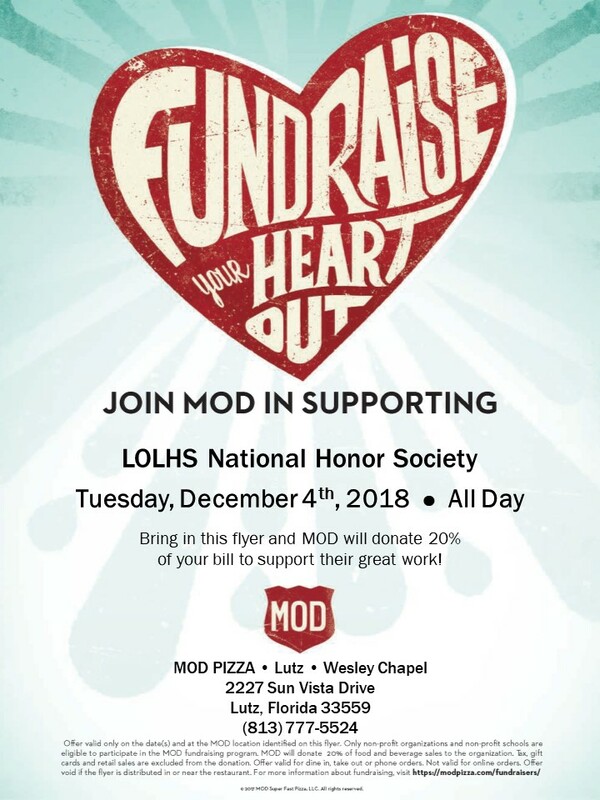 The National Honor Society LOLHS Chapter will have a fundraiser on Tuesday, December 4 all day, just print this flyer and 20% of your bill will be donated to LOLHS NHS. Thank you in advance!